Anadrol is usually cycled during offseason bulking phases because of its ability to add mass and weight to the users frame. 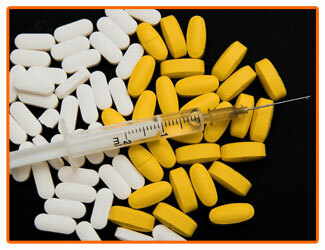 We discuss how best to utilise Anadrol as part of a steroid cycle. 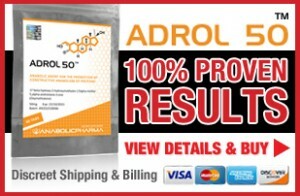 Anadrol has been a staple of body builder’s mass cycles and stacks for years. It will add lean body mass and also water weight to the user. Common to be compared to Dianabol, Anadrol is a true mass agent. Anadrol can also be used as a cutting steroid due to its effects on adipose and visceral fat, but we will discuss both options in more details below. Anadrol users will utilise Anadrol’s effects in the offseason in two main ways. In both instances Anadrol will add muscle mass and weight as discussed above, but timing the use of Anadrol is also paramount. The first instance is similar to other orals, such as Dianabol, where the compounds are used as a “kick start”. This means Anadrol is used effectively for the first 4-6 weeks at a dose of 50-100mg every day to kick start the users steroid cycle if they’re waiting for long acting androgens to become active. 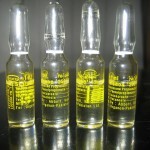 If the steroid user is using Testotserone Enanthate or Sustanon (Sust 250), this testosterone preparation takes around 6-7 weeks to become fully active in the blood. This means a short acting oral can be used during this waiting period to gain the most amount of muscle. It’s a tried and tested method, still used today by beginners and those who are at advanced levels of their physique and also anabolic steroid cycling experience. It works and works well. The second effective protocol in a bulking cycle (and I will also discuss the third) is when Anadrol is used to burst through plateaus. This is when the body no longer wishes to gain and halts or slows the majority of muscle growth and reductions in fat mass. 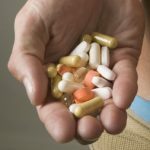 As well as changing the training protocol, consuming more calories, increasing doses the user can add a fairly anabolic or androgenic steroid – here comes Anadrol. Anadrol can be used after 6-7 of other steroids when growth has slowed considerably. Introducing a new steroidal agent can accelerate growth and smash through a plateau. It should be noted that in an Anadrol cycle, if a sticking point does occur then the first adjustment should be to increase calories and training. The nutrition program should be high in clean foods rich in protein content. When an Anadrol user reaches the point where they find it very hard to increase exercise lifts during workout (you should be beating the log book every session) and weight no longer increases week after week, changing the training protocol is often a good start combined with increasing protein content. If you train high volume, try lowering volume and increasing intensity, such as, high intensity training (HIT). Add clean calories to your diet, such as, 1 table spoon of extra virgin olive oil to every shake, increase carbs slightly and keep cardio to low and moderate intensity. All this needs to be done before it warrants increasing the Anadrol dose. Due to Anadrol effects on body composition, reducing unwanted fat mass, decreasing adipose and visceral fat via multiple mechanisms, increasing fat oxidation, and lipolysis and cranking up the bodies metabolic pathways, it can be implemented as a cutting agent too. It’s a versatile compound but is also hepatoxic (as discussed earlier). 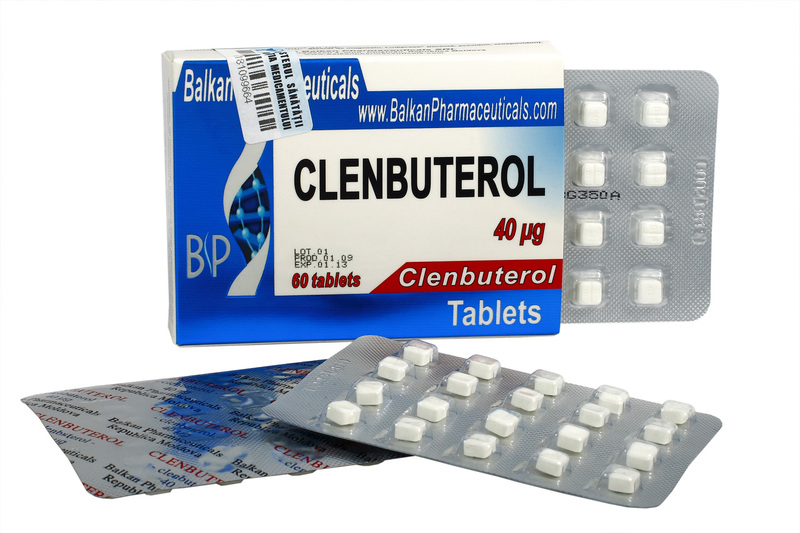 Used for a short duration it’s a potent weapon used for fat burning. Often overlooked and seen just as a mass anabolic, many don’t know how well it also cuts fat. This unfortunately is due to it adding water retention to the user, so a kind of skin mask is put over the reductions made and it’s hard to actually see how effective Anadrol is during a cutting stack. It can also be used leading up to a show or during pre-competition, but due to its ability to add water, this isn’t optimal, it should be dropped a week or less from competition day. As well as being a potent weapon in aiding the reduction in fat mass, it will also help maintain lean body mass (muscle) when taking in a calorie deficit. This is important for competitive body builders due to muscle being very precise when on stage. No one wants to drop 20 pounds of weight only to realise they also dropped 7 pounds of muscle mass and it will affect them negatively on stage. We also want to avoid this for other reasons, such as, wishing to cut body fat for the beach or if we’re an MMA athlete and want the added muscle for power and speed. As stated above, limit the duration of use when using Anadrol. It is a hepatoxic anabolic steroids to the liver so care should be taken with its use and regular blood tests should be taken if you wish to use it for longer. Take note of liver ALT/AST levels, kidney function and blood pressure. If any of these readings show adverse steroids side effects, lower the dose of take more precautions to limit these side effects, such as more cardio (BP), lower sodium intake (BP), no alcohol (liver) and drink more water and rehydrate more often (liver/kidneys).